Please head to www.beerisseur.ca for the new site. I’d really appreciate it if you updated your blogrolls or other links to the new address! 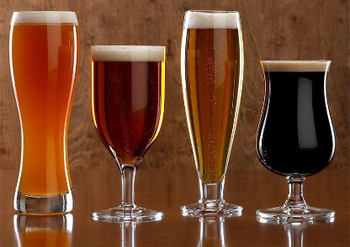 I am planning a beer tasting night on February 5, 2011 with 4 of my closest friends and fellow beer lovers. 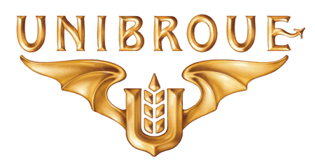 Really the night will just be a hang out time with the guys but we are going to make the beer drinking center around beers from Unibroue and share our thoughts on each one. I sent a list to everyone to choose their top 5 picks. I’ll tally the votes up and see which 5 have the most. Check back after February 5th and I’ll post my review on each of them. You can see a quick summary after the jump or go to http://www.unibroue.com to check them out. So I have been on somewhat of a quest to track down a store where I can buy specific beer glassware. If you have done your research (or you are from Belgium) you already know that the vessel from which you drink your beer has an effect on the whole experience. Besides merely aesthetic uses there are more tangible benefits derived when you drink your beer from the correct glassware. Apparently there are not a lot of individuals in Edmonton to justify even one such retailer existing here. The only store I can find is a restaurant supply store. They do sell the glassware that I am looking for but only in large quantities (i.e. 3 dozen). I would tell you who this retailer is but that would only be marketing for them and I don’t believe they deserve any free marketing from me considering they can’t sell me what I want. The true benefit of the glassware is disputed. Personally, I just think it adds another element of diversity and appeal to acquire the “correct” glassware for each beer or beer style and use them. This will also give some variety to the pictures I take for the site! As a caveat about the Pub Glasses site, I noticed in my order that they were charging quite a bit for shipping to Canada. I played around a bit with my order and I discovered that two types of glasses (the napoli and dimpled mugs) seemed to be driving the shipping charges. When I dropped these two items from my order there was zero cost for shipping. I tried both these glasses on individual orders and the site adds quite steep shipping charges. So in summary, play around with your order if you have shipping charges – you may be able to get out of them! If you live in the US you are lucky anyway – flat rate shipping for you. Update: They emailed me with the shipping charges for my order which were $90. So I cancelled my whole order. If you live in the US it is still a good deal! As I make posts on beers I will attempt to identify the correct category for that beer. I am choosing to use the categories as detailed by the “Beer Judge Certification Program” or BJCP. In fact, I will create categories on my blog for each style and place my post on a beer in the correct one.